On May 29, 2014, Colt Becker celebrated his first birthday. Three weeks later, he sat unaware in a doctor’s office as his mother and father were given the devastating news that he had neuroblastoma, a rare form of cancer most commonly found in children two years of age or younger. 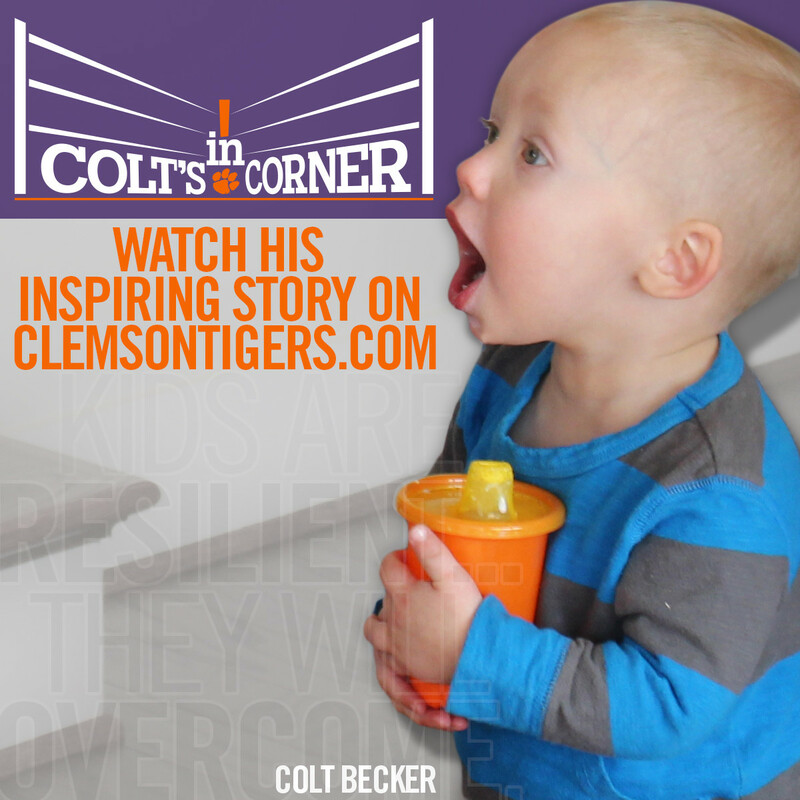 Though one-year-old Colt could never understand what he was about to go through, his parents — Clemson Women’s Basketball Director of Operations Kathy Becker and her husband Pete — were forced to deal with a reality they never could have expected. A three-part documentary spanning three months was produced by Clemson Athletics to document the journey the family went through and to share the inspiring story with the Clemson Family and others who might face a similar adversity. “Chase After A Cure” is a Summerville, S.C.-based non-profit organization focusing on research of neuroblastoma. You can help by visiting chaseafteracure.com.